See scan - perfect condition for this rare Bulgarian communist / socialist era badge. 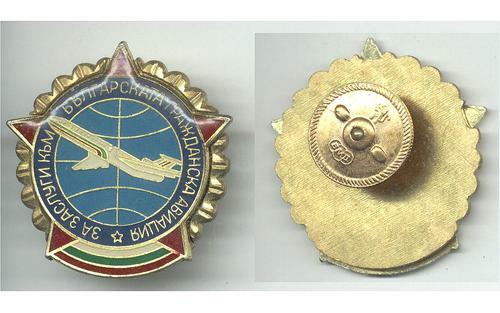 This is a special award decoration given by the State and the Bulgarian National Aviation for extreme merit and achievements to the civil aviation. The breast star is about 40 mm in diameter and only a few pilots had received this highest aviation award. Nice militaria / military related collector piece and one of the nice Bulgarian badges.